I’ve always loved the idea of red lipstick. 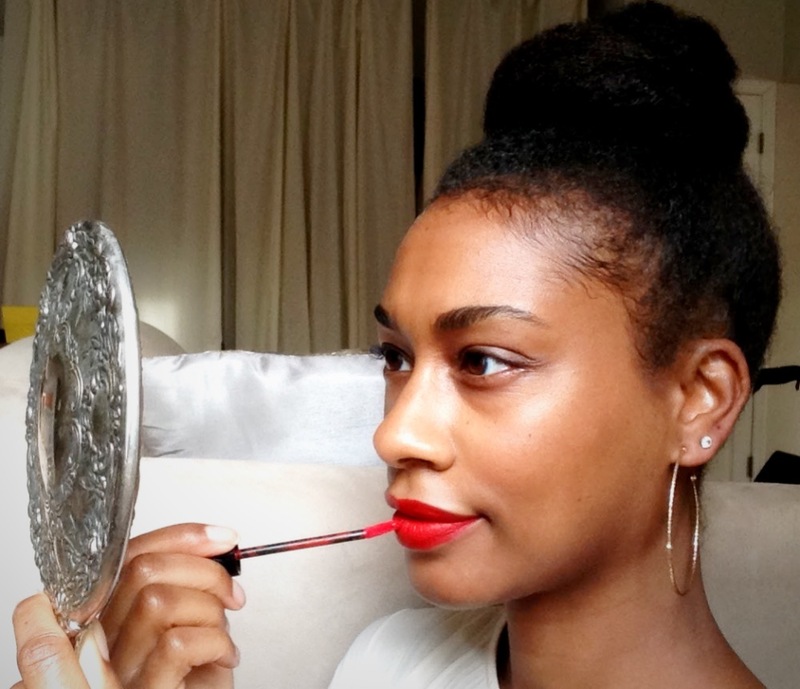 A bright red pout has been the signature of classy broads for the better part of the last century, but my aversion to re-applying (seriously, who has time?) meant that it just wasn’t realistic for me. I stuck to lip stains and minded my own business. But one day, when I stopped by Ulta to buy beauty products I don’t need, the crew at the counter excitedly pulled out a new box of NYX Liquid Suede. I’d heard good things about NYX lip colors, so I picked out a warm yellow-based red called Kitten Heels (only $7!) figuring I’d try it and see what happened. I like to exfoliate my lips by smearing on Kiehl’s lip balm then rubbing it off with a cotton swab before applying lipstick. What a boon! While I can never get the hang of swiping on lipstick straight out of a tube, this liquid formulation comes with a wand for more control. Thicker and more opaque than gloss, it dries to a matte, velvety finish, right in line with the ‘90s makeup trend. Once it dries it’s mostly in place, lasting through my usual fruit-and-yogurt breakfast and afternoon granola bar snack. It does require re-application after lunch (does anything stand up to alfredo sauce?) but I figure I can deal with twice-a-day touch ups in exchange for being the type of boss babe who can rock red suede lips. that color is KILLER on you! That is a gorgeous color on you. May I also say that your brows are on point.